Posted in gigs, media, music friends, recordings. Fame at last! 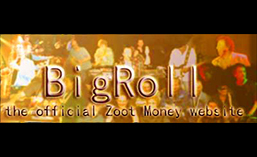 This week Zoot was the answer to a question on Ken Bruce’s Pop Master quiz on BBC Radio 2. But what was the question?? Posted in media, recordings, Uncategorised. Eagle-eyed Rollers might have noticed the comings and goings on our gigs page of a night at Chelmsford City Football Club. Following a series of adjustments it can now be confirmed this will take place on SATURDAY THE TWENTY-EIGHTH OF JULY. Any other date you have in your diary for this is WRONG. Come on July 28th however and we will all be there at the same time, which I’m sure you will agree is the better way. Get booking early to avoid disappointment (click on the flyer for ticket link) and see you there! Posted in gigs, website news.